Wisma Putra was right to summon Ambassador Huang Hui Kang of China to protest his unwarranted interference in our domestic affairs. His symbolically charged visit to Petaling Street, in the heart of Chinatown, and his insensitive remarks, broke a long-standing taboo in Malaysia-China relations. That the acting foreign minister has now reversed the decision to summon the ambassador is utterly disgraceful and shows just how weak and indecisive the Najib Administration is. The signal it sends is that Malaysia can be pushed around without consequences. It is yet another shameless abrogation by the government of its responsibilities. 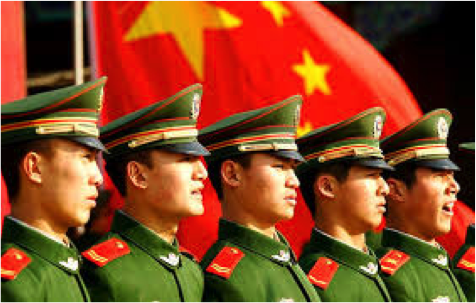 In the arduous negotiations leading to the normalization of bilateral relations in 1974, the most contentious issues involved China’s policy towards overseas Chinese as they were then called. China had always considered Chinese living abroad as overseas citizens with special rights and obligations. It was not the loyalty of Malaysian Chinese that was in question but China’s insistence in demanding their allegiance. 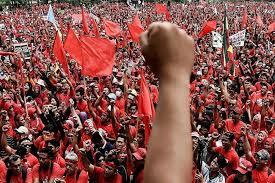 The other issue was China’s support for the Malayan Communist Party (MCP). Radio Suara Revolusi Malaya, the Voice of the Malayan People’s Revolution, was based in China. It was only after these two contentious issues were satisfactorily resolved – with China agreeing to fully respect the sovereignty and independence of Malaysia – that full normalization of relations could proceed and, subsequently, blossom. Viewed against this historical background, Ambassador Huang’s visit to Petaling Street on the eve of another red-shirt rally was an unprecedented breach of a solemn undertaking. His statement that China would “not sit idly by” over any “infringement on China’s national interests, violations of legal rights and interests of Chinese citizens and businesses which may damage the friendly relationship between China and the host country” was particularly astonishing. 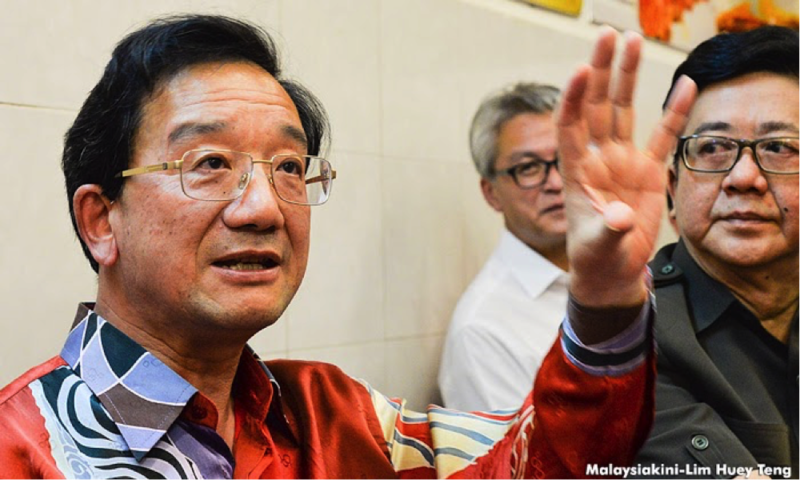 What legitimate Chinese national interest was at stake in the Petaling Street issue? Which legal rights of Chinese citizens were violated by the proposed red-shirt rally? How do tense race relations in Malaysia impinge on friendly relations with China, unless, of course, China still considers itself the overlord of all ethnic Chinese whatever their citizenship? No question that the behaviour of people like Jamal Yunos and Ali Tinju was utterly disgraceful. And shame on Prime Minster Najib Tun Razak and Deputy Prime Minister Zahid Hamidi for not acting decisively against the red-shirts and discharging their constitutional responsibility to protect and defend Malaysian citizens irrespective of their ethnic background. If only Najib or Zahid had taken a page from the ambassador’s playbook and gone to Petaling Street to reassure the people there, perhaps it might not have come to this. Nevertheless, none of the above justifies Ambassador Huang’s intervention. Besides, he should know that the struggle that is unfolding in Malaysia today is not about race – as the red-shirts want it to be – but about good governance, an end to endemic corruption, and building a strong, united and democratic nation. His visit, with all its racial connotations was, therefore, as unwelcome as it was unhelpful. I hope he has now noted the overwhelming rejection by Malaysian Chinese themselves of any involvement by Beijing in our domestic politics. It should underline the fact that China has absolutely no role to play in the evolution of our political system. China’s interference also carries with it the danger that others might feel similarly tempted to get involved in Malaysia’s evolving political situation. Imagine the Saudi ambassador threatening unspecified consequences if hudud is rejected. Or the Indian ambassador mediating between the perpetually warring MIC factions. Or the Indonesian ambassador insisting that any criticism of Najib or Zahid, both of whom are of Indonesian origin, might negatively impact bilateral relations. Unfortunately, some UMNO leaders themselves have set the precedent by claiming that a wealthy Arab ruler essentially paid Najib millions of dollars for “his anti-Jewish stance.” Is our foreign policy now for sale to the highest bidder? Are policies initiated to serve the national interest or merely to enrich a select few? If that doesn’t compromise our independence, what does? More ominously, given the way China’s bureaucracy works, Ambassador Huang’s actions would almost certainly have been cleared at the highest levels of government in Beijing and might well signal a more assertive strategy towards Malaysia. Could China now be trying to exploit Malaysia’s internal difficulties to advance its own interests? It is no secret, for example, that China has been unhappy with the Najib Administration’s close military cooperation with the US as well as the government’s support for the highly controversial American-inspired trans-Pacific trade deal. Seen from this perspective, China might well be warning Najib against too close a relationship with the US. Whatever it is, the threat about “not sitting idly by” is reminiscent of the kind of language that Beijing has used in the past to warn recalcitrant governments of tough action unless it gets its way. To now hear a Chinese ambassador use those words against Malaysia is nothing short of outrageous. It is cheap swagger, a crude bully attempt and completely unacceptable. I suppose this is what happens when we have a weak scandal-plagued government whose policies have divided the nation, weakened our economy, undermined our resilience and rendered us vulnerable to external interference. Wisma Putra’s backtracking on the summons just proves this point. Is Wisma Putra up to the challenge? I certainly hope Wisma Putra is fully awake to the challenges that China poses and is up to the task of managing relations with such an increasingly assertive neighbour. A prompt review of our relations with China would certainly be appropriate now. In the meantime, Ambassador Huang’s unacceptable behaviour requires a firm response: Wisma Putra, if it truly concerned about protecting our national interests, should request his prompt removal.